Moscow, Feb 13 (IANS) Former Soviet leader Mikhail S Gorbachev called on Washington and Moscow to resume nuclear arms talks, warning of dangers of not doing so after President Donald Trump confirmed the USA plan to leave a key Cold War-era treaty. Gorbachev (President of the USSR in 1990-1991) in an article on Wednesday for Russian newspaper Vedomosti said this after the US decision to withdraw from the Intermediate-Range Nuclear Forces Treaty, he had co-signed in 1987 with then US President Ronald Reagan. "I regret that the tough domestic situation, which has been in place in the US over the recent years, has in fact resulted in disruption of dialogue between our two countries on all topics, including the nuclear weapons. It is time to get over the difficulties between the (US) political parties and start a serious conversation. 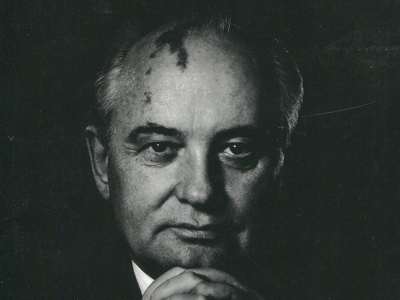 "I am sure that Russia will be ready for it", Gorbachev wrote in his column. The treaty aimed to eliminate short-range missiles capable of striking up to 1,000 km and intermediate missiles capable of hitting up to 5,500 km. Gorbachev said the US wanted to withdraw from the treaty to "get rid of all the restrictions in the arms sphere and gain absolute military supremacy... to impose its will globally", Sputnik news agency reported. Calling it "an illusory goal, an impossible hope", he said the "hegemony of one country in the modern world was impossible". Expressing concern over "dangerous, destructive tendencies in world politics", Gorbachev appealed to US Congress members to solve the impasse. "Nuclear war is unacceptable, there can be no winners. The treaty was a first step, followed by others (such as) the Strategic Arms Reduction Treaty (START) that had reduced the number of nuclear weapons in Russia and the US by more than 80 per cent," he said. The former Soviet President said the de-escalation process not only affected nuclear weapons but also elimination of chemical weapons, while Eastern and Western European countries agreed on a radical reduction of armed forces and weapons. This was "the peace dividend" that everyone, Europe especially, obtained with the end of the Cold War, he said. Gorbachev defended Russia's standpoint as "an unambiguous position in favour of preserving the treaty". He also noted the US "refused to ratify the Nuclear Test Ban Treaty" and due to this 2002 unilateral decision, the Treaty on the Restriction of Anti-Ballistic Missile Systems (ABM) was terminated. Warning the US, he said result of the current destructive turn would bring something completely different: "The destabilisation of the global strategic situation, a new arms race, increased chaos and unpredictability of world politics." Gorbachev, meanwhile, welcomed European efforts to save the treaty as the EU called on the US "to ponder the consequences of withdrawing from the treaty for its own security, the security of its allies and the whole world".